I do most of my entertaining in the summer and this Blueberry Vodka Lemonade Cocktail is always a huge hit! It’s summery, it tastes good and my guests rave about it! With just two ingredients, it is so easy to make. I am a semi-homemade kind of gal. Instead of making everything from scratch I like to concentrate on the presentation. Everything tastes better when it looks good! That’s my theory anyway! 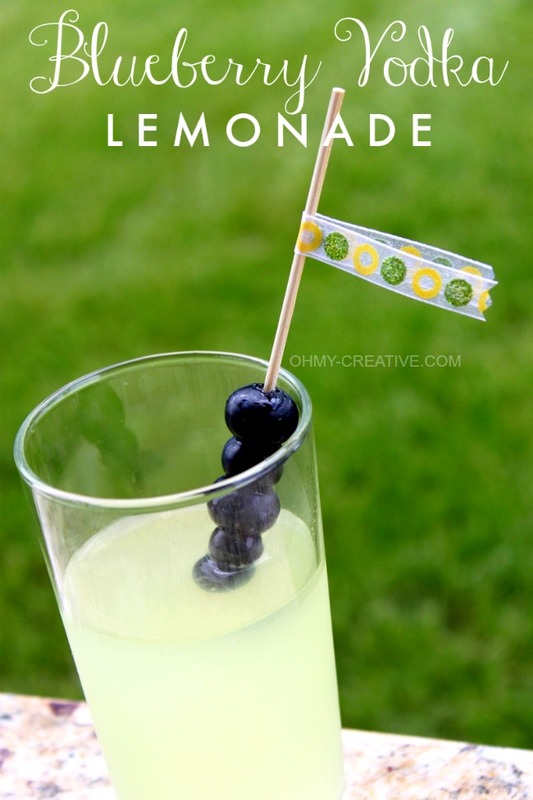 I’m always looking for drinks made with lemonade – it’s the flavor of summer. I’ve made these Blueberry Vodka Lemonade Cocktails for many of my summer parties! Entertaining and parties are so much easier when you have a signature drink. Along with a signature drink, I usually serve wine and beer so I have a nice selection for my guests to choose from. 5 oz. Lemonade – I highly recommend Simply Lemonade. It is simply the best tasting! 1.5 oz. Blueberry Vodka – Any brand will do. Mix lemonade and blueberry vodka together served over ice. 5 oz. Lemonade - I highly recommend Simply Lemonade. It is simply the best tasting! 1.5 oz. Blueberry Vodka - Any brand will do. When I am having a party I calculate the servings and make a large pitcher...they don't last long! When I am having a party I calculate the servings and make a large pitcher…they don’t last long! I also like adding a little garnish to my drinks. 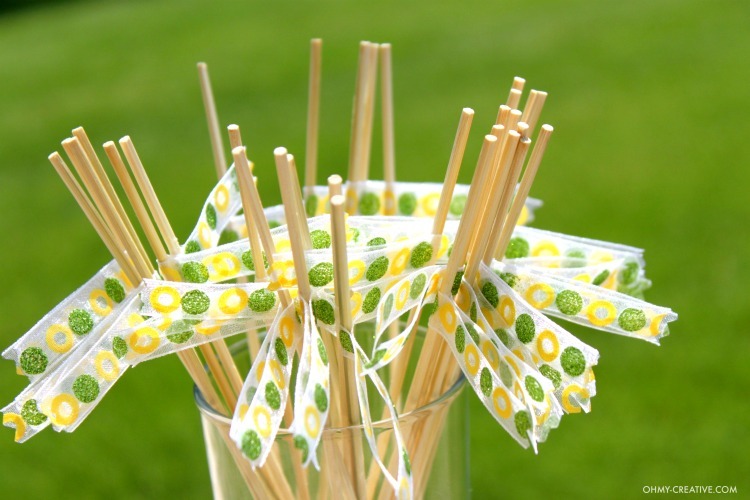 For this drink, I used a pretty 1/4″ ribbon, glued with Fabric-Tac Glue, to a Bamboo Skewers. 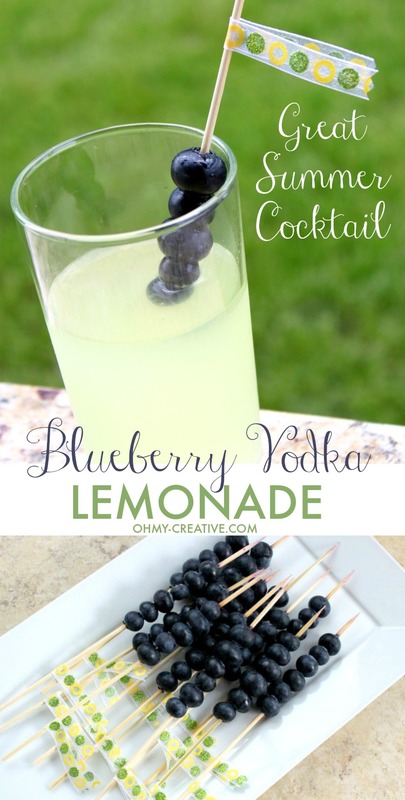 Makes pretty blueberry drink skewers! 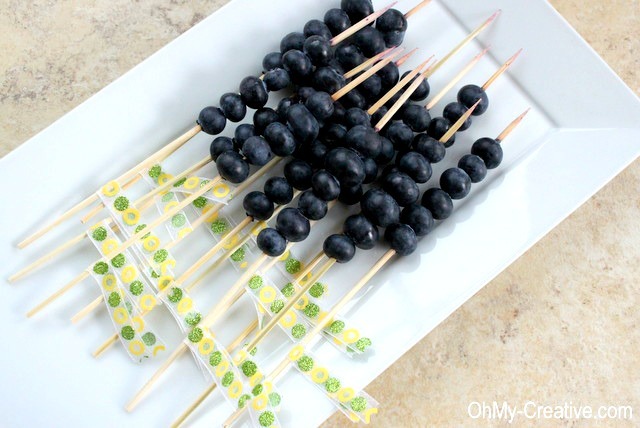 You will want the skewers to be short and might have to cut them down if they are too long. 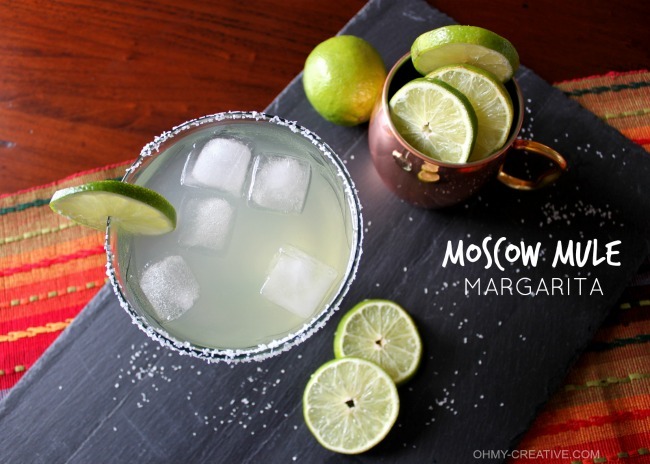 You might also like this Moscow Mule Margarita! 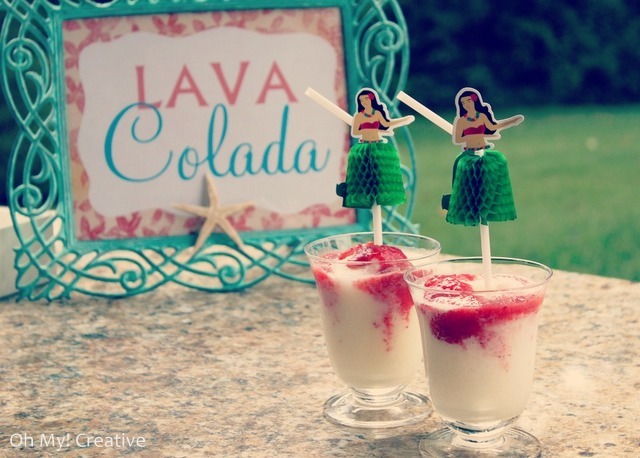 And this Lava Colada for a poolside luau! Looks soooo goood!!!! Hop over on Friday, because you have ben featured at Coastal Charm:) Please feel free to grab my starfish featured button for your blog. You had me at blueberry….you hooked me with those cute little stirrers! Nice job! Thanks – perfect summer drink! These sound delicious and they look gorgeous. I love the garnish. I host a weekly link party and I’d love for you to share these at http://www.thenymelrosefamily.blogspot.com/2012/04/whimsy-wednesdays-6.html. We go live tonight at 8 EST. I’m following via bloglovin. Okay, all I have to say is, YUM! I can’t wait to try this!! I’d like to invite you over to Sweet & Simple Sunday at Cups by Kim. It’s going on all week. Hope you can stop by! I don’t like vodka, but this sounds great! So fruity and great for a warm day! Just to let you know – your wonderful project was featured on homework. Come on over and a grab a button. As always, thank you so much for linking up your project. Have a wonderful weekend! This looks so delicious and SO refreshing. The garnish is just perfect! Thanks so much for the inspiration! Thanks Trish – it’s great for parties! I’m so glad you shared this at Whimsy Wednesdays. One of my favorite drinks is Smirnoff’s blueberry lemonade. I hope you’ll stop back over this week to share your latest creations. I’m following on twitter. Awesome! Perfect for a summer party! Thanks for sharing! Love this beverage idea! I need to try blueberry vodka asap! I can’t tell you how much I love you for combining all of my favorite things into a summer drink. I have yet to buy a fruit-infused vodka, but ummm…your lish-looking cocktail recipe is telling me that I should! Can’t to make and sip on one of these!